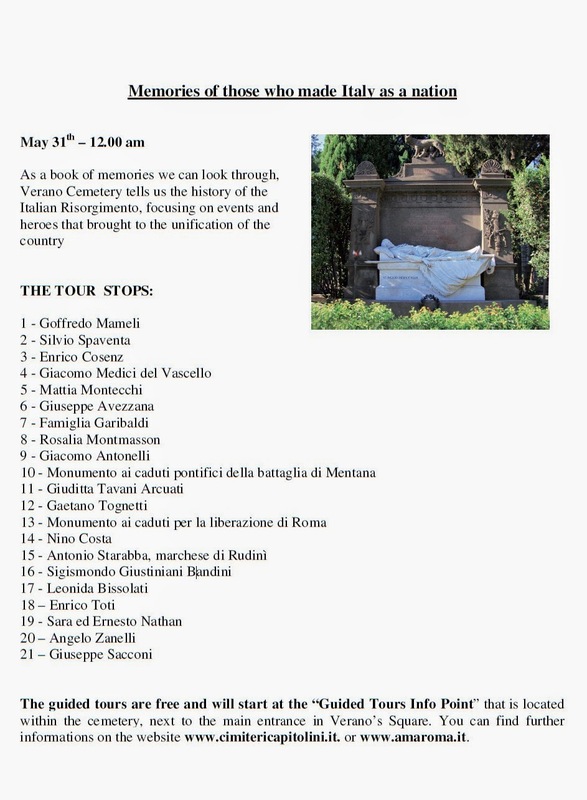 Check out the extensive program of events that will take place in Verano Monumental Cemetery in Rome during the Week of discovering European Cemeteries. 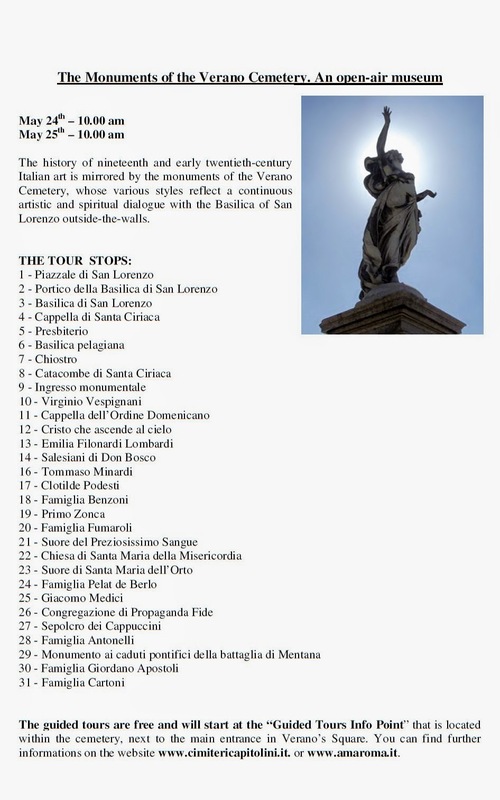 On the occasion of the WDEC 2014, AMA-Cimiteri Capitolini and Municipal Bureau of Cultural Heritage in Rome – Centre for the Documentation of Historic Roman Cemeteries organized several guided tours and a lot of other activities to help you explore the Verano Monumental Cemetery in Rome. Find events that match your interests, and plan your time during the WDEC in Rome. 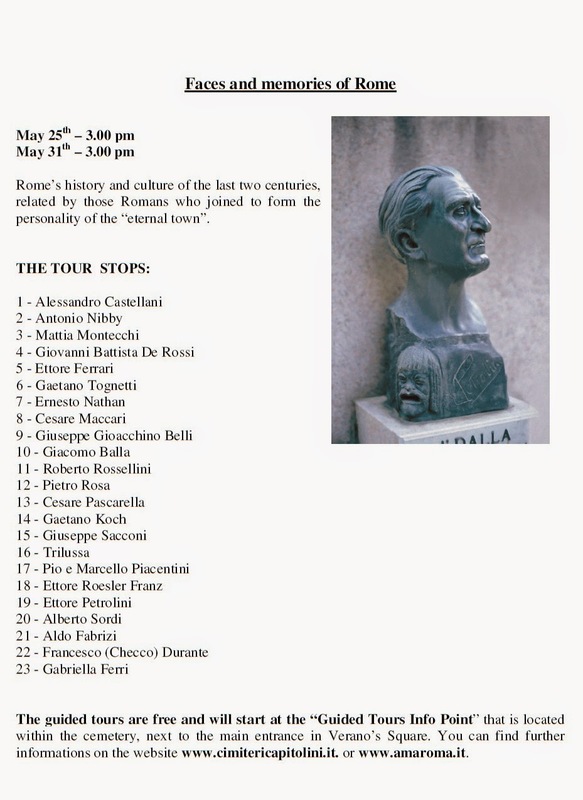 May 31th at 10.00 am - 20th Century. 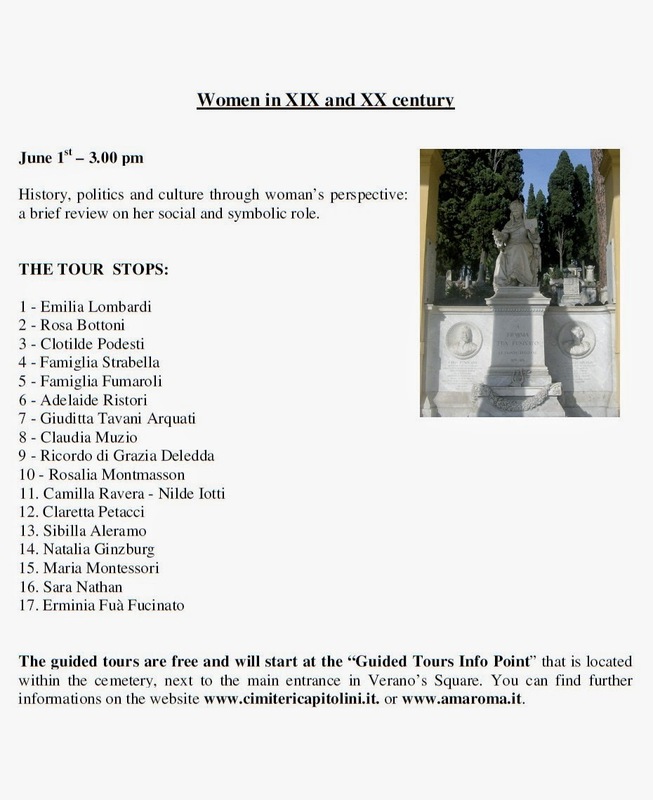 The passions of men and women of the “Short Century"
June 1st at 10.00 am - 20th Century. 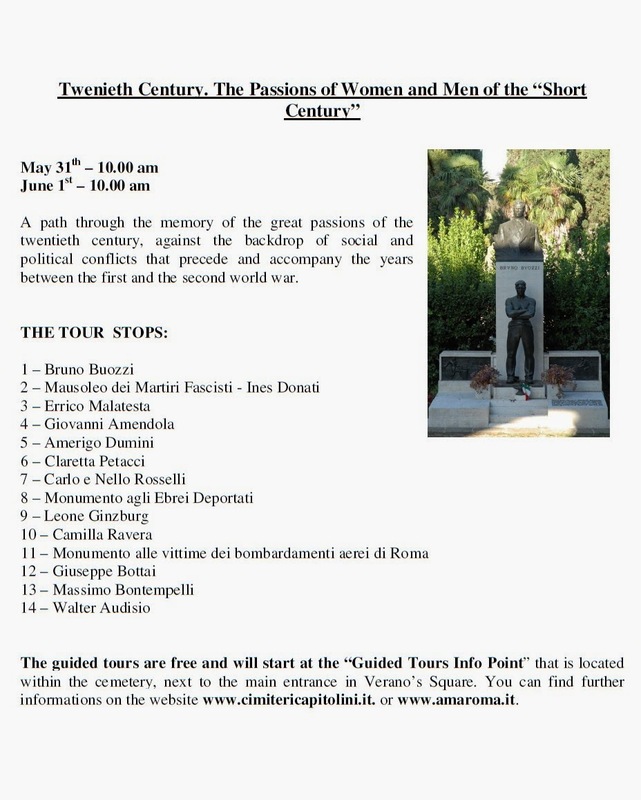 The passions of men and women of the “Short Century"
The guided tours are free and will start at the “Guided Tours Info Point” that is located within the cemetery, next to the main entrance in Verano’s Square. 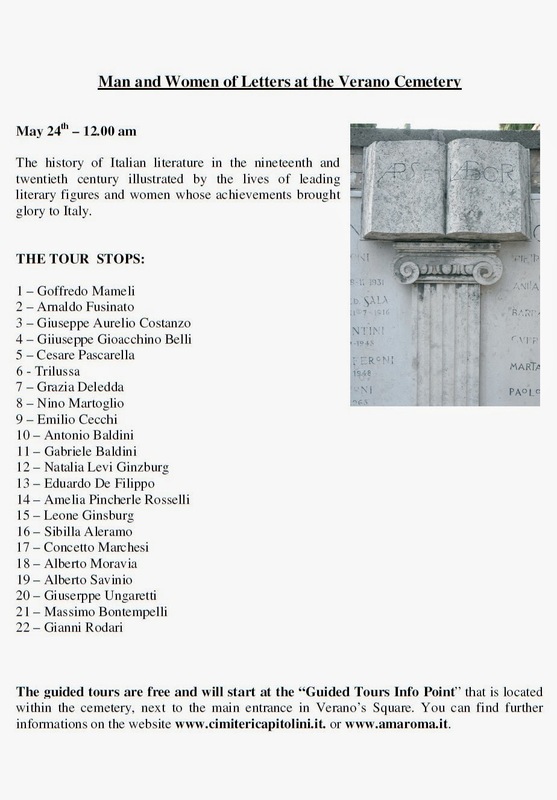 You can find further informations on the website www.cimitericapitolini.it. Municipal Bureau of Cultural Heritage of Rome – Center for the Documentation of Historic Roman Cemeteries. 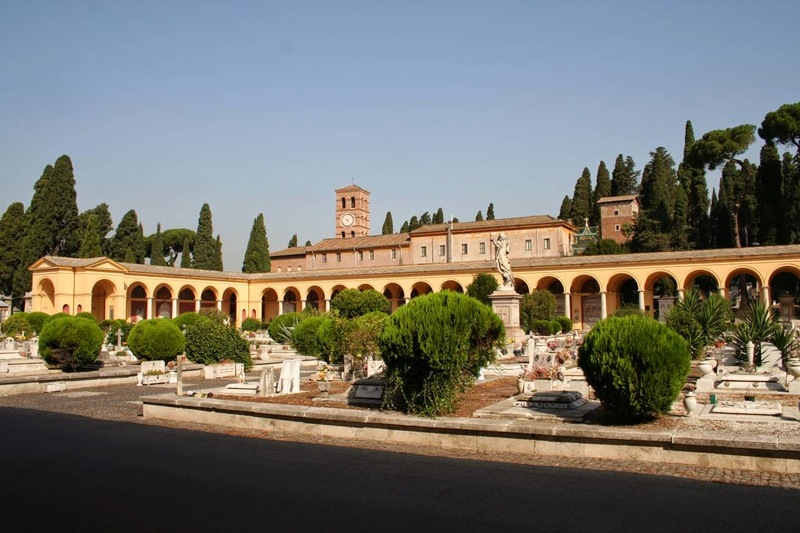 The Center for the Documentation of Historic Roman Cemeteries was established on 15th of July 2003 by the Office of Superintendent of Cultural Heritage of Rome Capital City , in collaboration with AMA and with Rome’s Municipal District III. 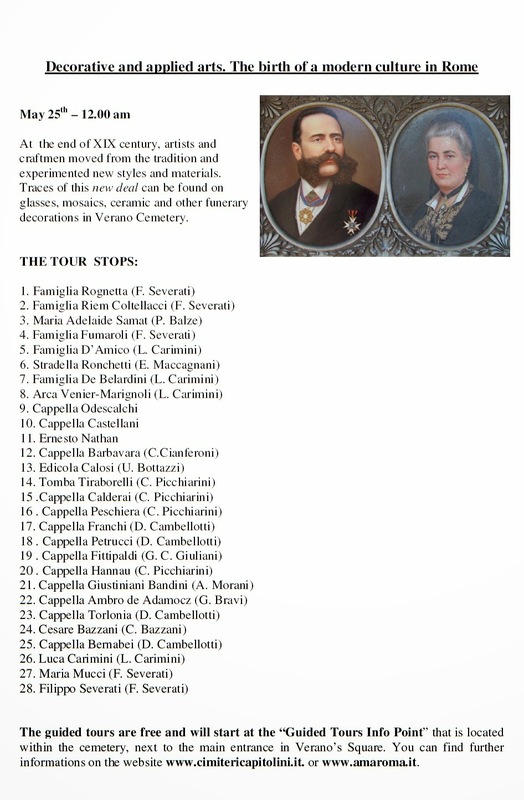 The materials of noteworthy interest that can be consulted at the Center include historical information on over 7000 funeral monuments including photographs, slides, film clips and illustrations that document the history of the Verano Cemetery. Found at the entry point of the portico, the Centre is open upon request and on the following occasions: Culture Week (in April), Week of Discovering European Cemeteries (in May/June), for the commemoration of the bombardment of 1943 (July 19) and for the period of the commemoration of the Dead (1st of November). 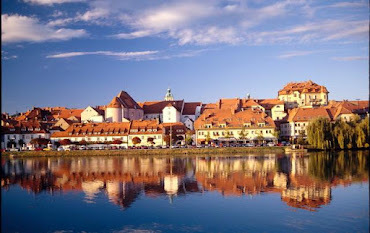 For WDEC 2014 the Centre will be opened from Friday, May 23th to Sunday, June 1st from 9.00 am to 5.30 pm. This year’s theme is the Funerary Symbols that represents one of the keys for an immediate understanding of the historical and anthropological process that produced them and in which a community recognizes itself. 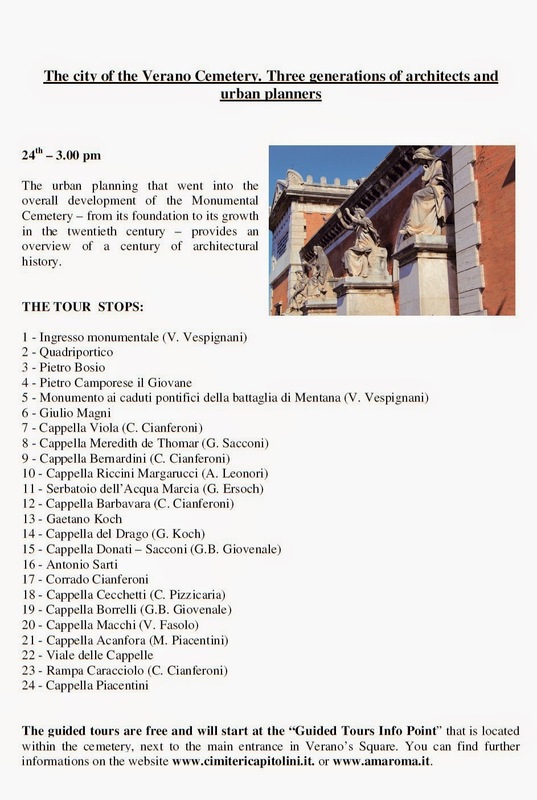 Thanks to a recent restoration led by the Sovrintendenza Capitolina, it is now possible to read more clearly the inscriptions placed on the inner side of the monumental gate, that of the tombstones of Virginio Verspignani, the architect of the Cemetery, and of the engraver Paolo Mercuri.